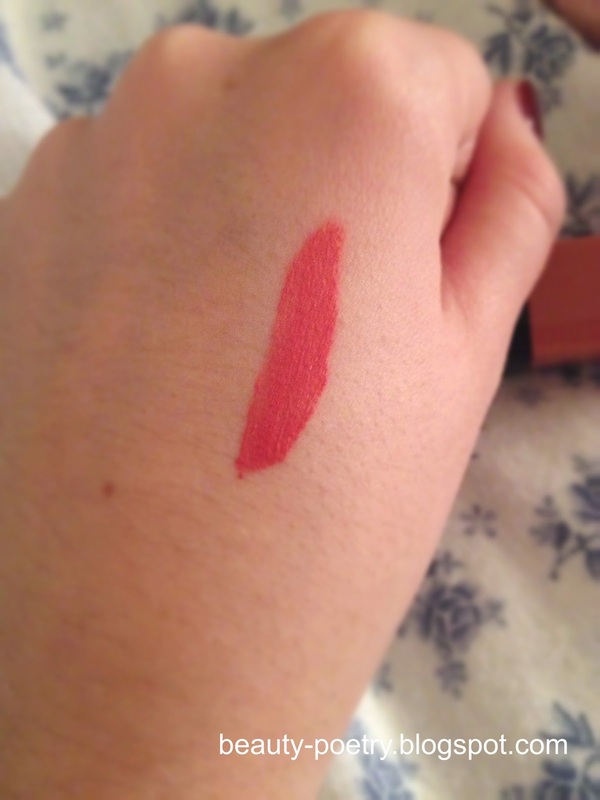 Today I'm writing about the Rouge Edition Velvet lipgloss from Bourjois. I heard so many people raving about these that when I spotted one I needed to try it immediately. And as so many people loved and praised it I had quite high expectations. But to be honest I was a bit disappointed when I first tried it. What fist caught my attention was this weird smell of paint for walls and I can't say I'm fond of it or I'm getting attached to it. 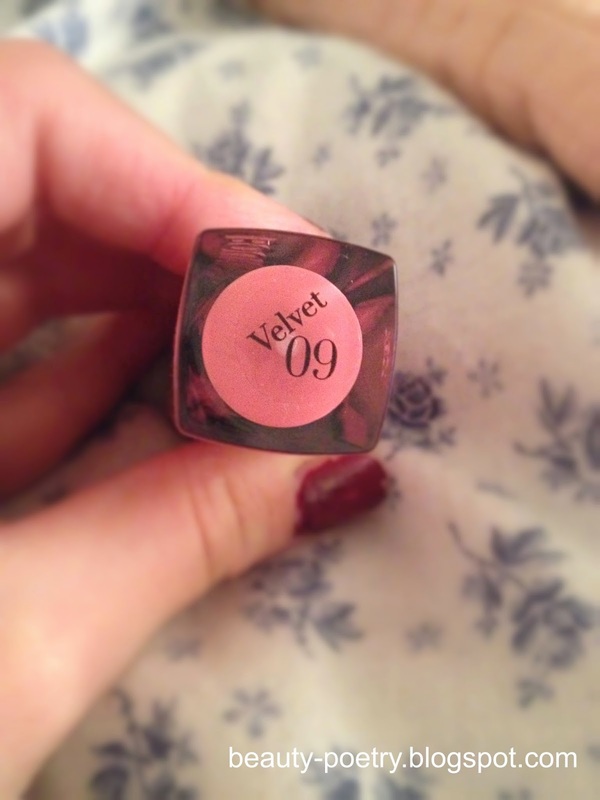 The lipgloss/lipstick has a creamy texture and is super pigmented. I think I have rarely seen a more pigmented lipgloss. The formula stays on super long and even defys every food and liquids surprisingly well. I must say better than any lipstick I ever used. What I'm struggling with is the texture of this product. At fist it's super creamy and after application it kind of "dries" and it feels like another thin skin laid over your lips. It turns matt and when you would touch your lips the color doesnt't come off . Which is a good thing in deed as it helps it staying longer put but it's just such a weird feeling. And to add especially during winter my hole body dries out so easily and this lipgloss didn't found to be moisturizing at all. And after a while it annoys me so much that most times I whip it away. Maybe I'm being a bit selective and and a real nitpicker haha (is this word used?) but that's my thoughts on it. What are yours? :) I'd love to know! Maybe I'm just doing something wrong haha.